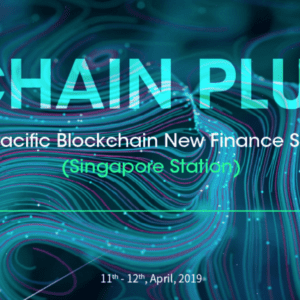 Singapore, 9 March 2019 – ​The world’s first part conference, part experiential blockchain festival will be held in Singapore’s Marina Bay Sands Convention Centre Hall A on April 18 and 19, 2019, and entry is free for those who register online before April 15, 2019. Co-organised by Grounded (a blockchain advisory and marketing agency) and First Wave Agency (an events and conference organiser), the 2-day 10:00am to 6:00pm festival includes panel discussions, live entertainment, keynote speeches, creative installations, experiential zones and retail booths. 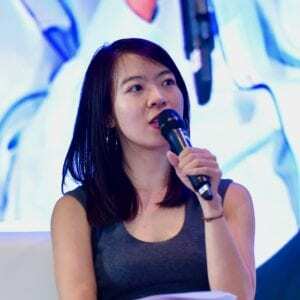 The organisers created this first-of-a-kind event to clap back at the increasingly profit-driven and tired conference world, featuring only authentic, constructive and necessary discussions about real work that is being done in the blockchain space. The free-to-attend festival departs from the usual conference programme, not only answering the toughest questions that exists in the industry now, reshaping mass perspectives on blockchain, bringing the underlying technology back into the spotlight, but also making blockchain accessible and applicable to the daily lives of people. –Ngeow Jiawen, CEO of Grounded. Attendees will get the chance to greet some of biggest change-makers of the blockchain industry, as well as key traditional players who will be sharing their quality opinions on topics such as personal data security and e-commerce; future of work & employment, blockchain scalability and more. Renowned players in the blockchain industry such as Bitcoin.com, Alto, BlockON Group and DigiX have come on board as partners and exhibitors at the festival. Attendees can also expect to meet notable keynote speakers and panelists across the blockchain, fintech, non-profit, regulations and media industry, including Roger Ver, CEO of Bitcoin,com, Chia Hock Lai, President of Singapore Fintech Association, Stephen Browne, Co-founder of Crypto IB and more. Even those who are not ready to learn about blockchain can enjoy an augmented reality art exhibition curated by Russian group, Art of Blockchain, take Instagram-worthy photos at several installation zones, play interactive games or shop at the retail zone. Presented by BlockON Group, F/UPS invites fintech and blockchain entrepreneurs to share personal stories of professional failures. The stories of the businesses that crashed and burned, the partnership deals that went sour, the products that had to be recalled, and what eventually succeeded; they tell all. Visitors get a personalised walkthrough and simulation of the entire crypto experience based on their knowledge level. From creating a wallet, buying their first token, to trading on an exchange, the interactive zone brings blockchain amateurs on their very own crypto journey. RAISE is a pitching competition where teams will each be given 5+5 minutes to pitch their technology to a panel of investors. The most viable projects stand to win prize money as well as incubation and mentorship chances with a Silicon Valley-based Incubator, Founders Space. Revel in the visual stimulation of augmented reality art pieces which symbolises both the global unity brought about by crypto and the dark side of crypto- greed egocentrism and fraud. Take a peek at the famous CryptoMother, signed by Vitalik Buterin and estimated at $6 million, interactive projections, and an exclusive performance by the leading artist of CryptoMother. –Don Tsai, Project Director of First Wave Agency. Register here before April 15, 2019 to get free entrance. Tickets are priced at S$10 after. Full details are available at www.blocklive.asia.